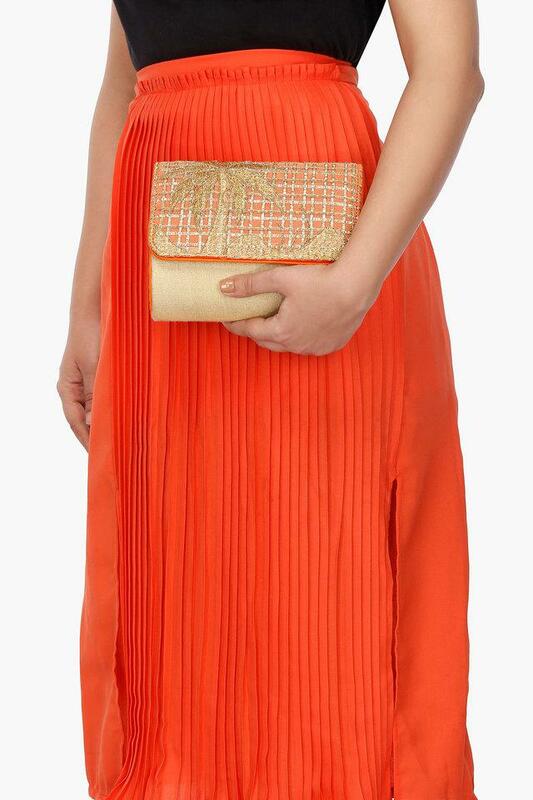 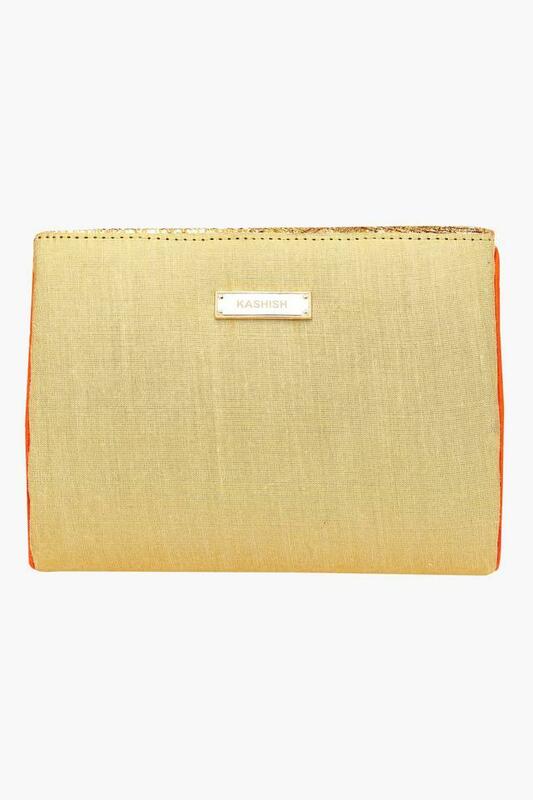 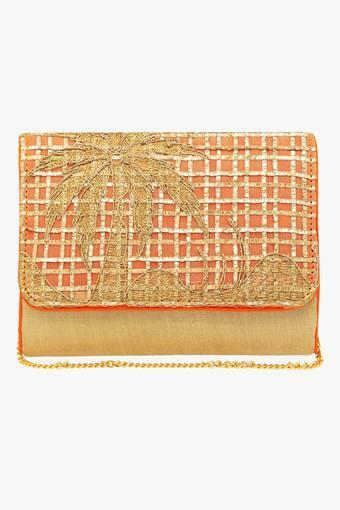 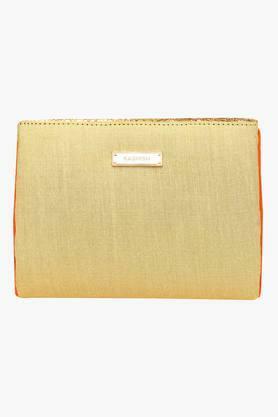 Enhance your accessory collection by adding this sling clutch brought to you by the popular brand, Kashish. It features one main compartment with a snap closure that promises to keep your belongings safe. 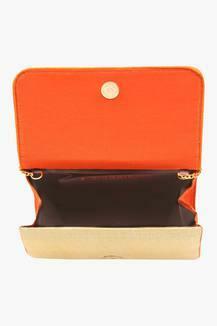 On the other hand, it is made of a synthetic material that makes it pretty easy to maintain. 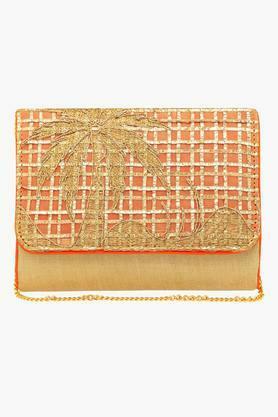 Be the style icon among your friends by carrying this exquisite sling clutch on special occasions. It comes with an inner slip pocket that makes it all the more useful while the embroidery work at the front adds to its design.